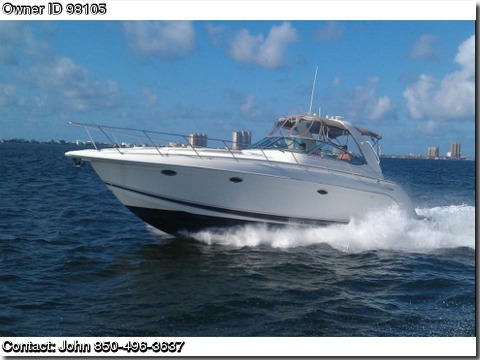 Please contact boat owner John at 850-496-3637. 2002 FORMULA 40 Pc, This Formula 40PC is in A+ condition with all service records. She has 845 hours on her. Powered by twin Turbo Charged Yanmar Diesels. Cruising speed is 25 knots and top end is 33 knots. Please call John 850-496-3637 for additional information.